This page is for current Downtown Growers’ Market vendors who have applied and been accepted to vend during the 2019 season. ​Click the button below to login to your Manage My Market account. In your account you can do things like pay an invoice, report your sales, check your stall assignments and more. All straws, sample cups and silverware are required to be commercially compostable while vending at the Downtown Growers' Market. ​Please click the buttons below to be directed to DGM approved products. Thank you for adhering to these rules to help reduce waste in the ABQ landfills! You'll also find more compostable products below that you are welcome to order. Want to find your own commercially compostable products? Vendors are allowed to find their own commercially compostable products outside of the above approved products. However, vendor sourced products must be emailed to DGM Management for approval before ordering. If you are interested in finding your own commercially compostable products, please be sure to read through Soilution's "Acceptable Materials for Composting" first! Where can I find the 2018 Rules and Regulations? You can click here to download our rules and regulations. The Rules and Regulations are also found in the 'documents section of the managemymarket website. Enter in the email and password you used to apply to the market. ​How do I report my sales? How do I check my approved market dates? How do I check what my assigned stall number is? On the bottom right, click on "dates"
How do I report that I will miss a market that I am scheduled for? Send an email to market@abqmainstreet.org. In the email state your name, your vendor name (business or farm name) and the date you will be missing. All notices must be given 1 week in advance in order for your booth rental fee to be refunded. The market manager will reply letting you know they have received your email. How do I request a schedule change?  Send an email to market@abqmainstreet.org. In the email state your name, vendor name and the dates you would like to switch. All scheduling change requests must be submitted at least one week prior to the market date you would like to switch. How do I pay my monthly invoice online? Option 1: All invoices are emailed to the email you have on file. In that email click on the link provided to pay your invoice via paypal. In the top menu bar click on "account"
Any unpaid invoice will have a "PayPal" button next to it. Click "PayPal" and it will direct you to the payment screen.